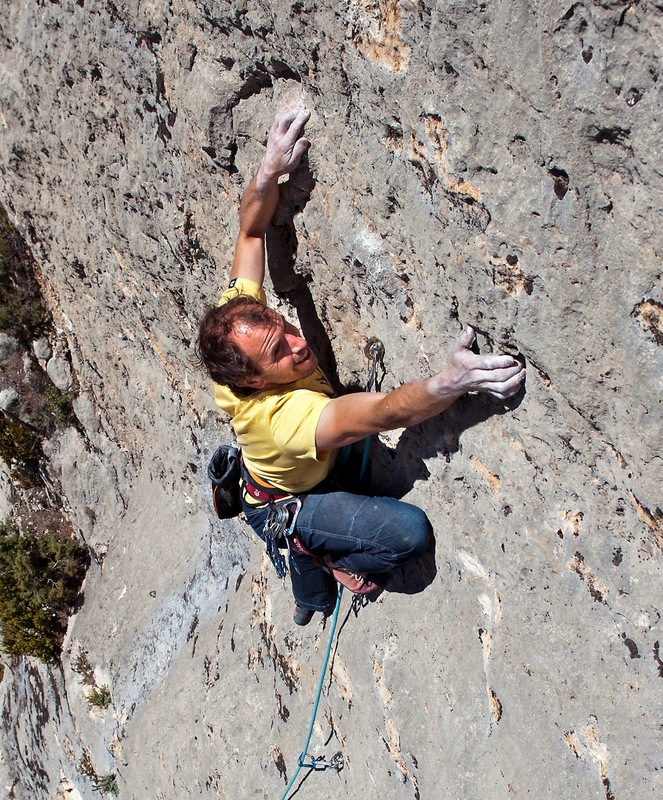 Nic has informed us of six new routes he has recently equipped on the excellent low-mid-grade Sector Església (Pages 246-249 in Lleida Climbs 2). On the following topo, routes 15, 16 and 22 correspond with the same routes listed in the Lleida Climbs guidebook (second edition). 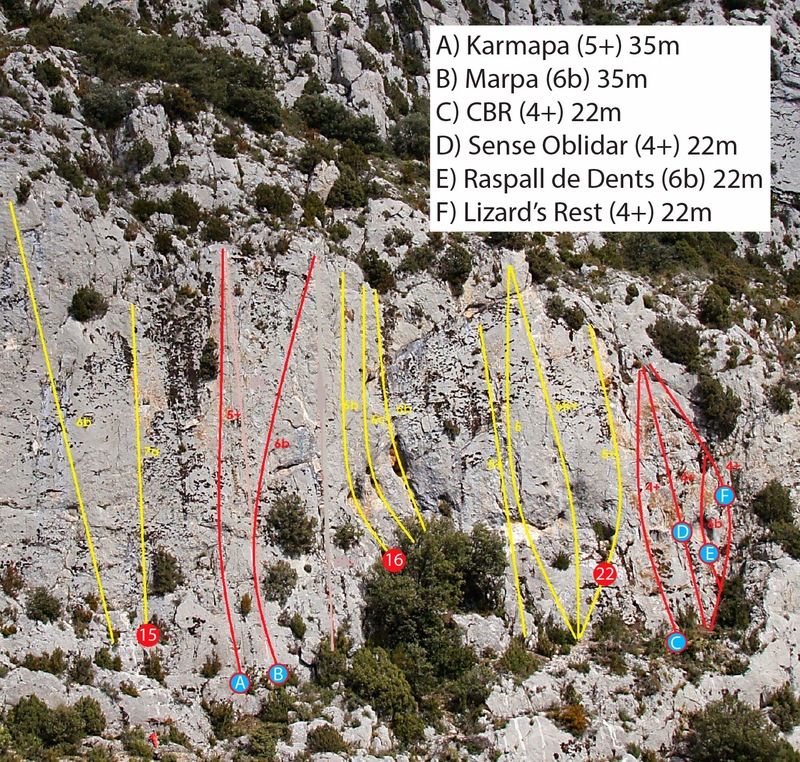 The new routes are listed A-F.
Nic and Elle have equipped dozens of new climbs in this fantastic zone over the past couple of years, and now run a newly reformed Eco-Refugi in the beautifully situated village.